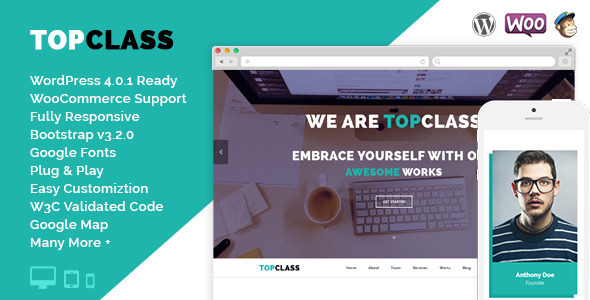 AA is Premium Feature rich Responsive HTML5 Portfolio Template. AA is suitable for business portfolio websites, Photography Portfolio, Personal Portfolio Template and any kind of Portfolio Websites. 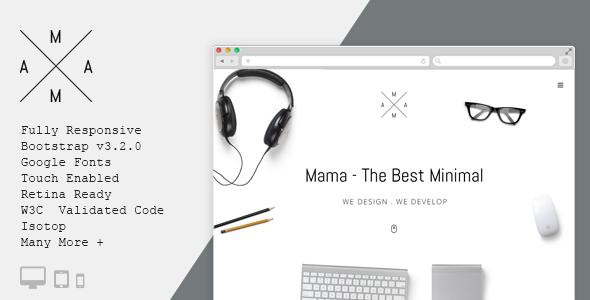 It comes with lots of built in features with clean, minimal and stunning design that is absolutely perfect for showcasing your work on a personal portfolio website. AA is built with latest bootstrap, html5 and less/css3 technology. Well-organized with valid coding standard. 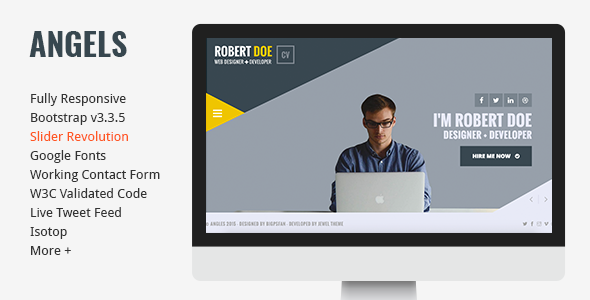 Specially designed for personal or business portfolio websites.